Digitalization changes consumer markets rapidly. There is an increasing focus on technological innovations as well as concepts that improve daily routines and offer support for self-determined living. Various technology companies have recognized this need and developed different types of hard- and software products, so-called Smart Home (SH) technology. In Germany, the SH technology market is still in its infancy. To increase market success, there is a need to understand which factors influence the acceptance of those products. In this study, the acceptance of different SH concepts was examined, using the framework of the Unified Theory of Acceptance and Use of Technology (UTAUT). In a field experiment with 496 participants, acceptance models for two different SH concepts were assessed. The results of the empirical study suggest that the UTAUT is a valid framework for modelling the acceptance of SH technology. Overall success factors for the acceptance are Performance Expectancy, Effort Expectancy, Social Influence, and Facilitating Conditions. While there was no difference in the overall structure of the UTAUT models for the different SH concepts, distinct strengths emerged. Theoretical as well as practical implications of these findings for the marketing of SH products are discussed. Abicht, L., Brand, L., Freigang, S., Freikamp, H., & Hoffknecht, A. (2010). Internet der Dinge im Bereich Smart House. Retrieved from http://www.frequenz.net/uploads/tx_freqprojerg/Abschlussbericht_Id__im_Smart_House_final.pdf. Schiller, K. (2018). Was ist ein Smart Home? Geräte und Systeme. Retrieved from http://www.homeandsmart.de/was-ist-ein-smart-home. Splendid Research (2017). Smart Home Monitor Deutschland 2017. 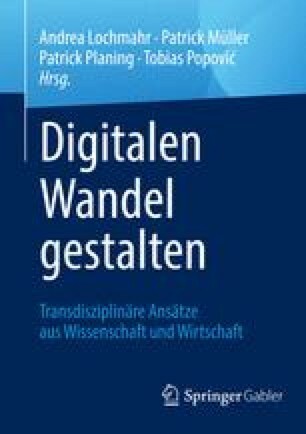 Retrieved from https://de.statista.com/statistik/daten/studie/757023/umfrage/interesse-an-smart-home-anwendungen-nach-geschlecht-in-deutschland/. Verbraucherzentrale Rheinland-Pfalz (2016). Vierten Verbraucherdialog „Smart Home“ – Chancen nutzen, Risiken minimieren. Retrieved from https://mjv.rlp.de/fileadmin/mjv/Themen/Verbraucherschutz/Ergebnispapier_mit_Empfehlungen_zum_Verbraucher__und_Datenschutz_bei_Smart_Home_Angeboten_fuer_Anbieter_sowie_Verbraucherinnen_und_Verbraucher_.pdf.